When first in love, life is simple and sweet. You and your spouse stay up late dreaming dreams and making plans for how things will go. Everything seems promising and exciting. But then life happens. Those dreams you dreamed are pushed aside and saved for later. But why can’t later be today? 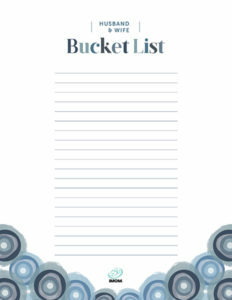 I’d like to encourage you and your spouse to write a couples bucket list together. It can be composed of small dreams or big dreams. Whatever you plan to do, plan to do it together. 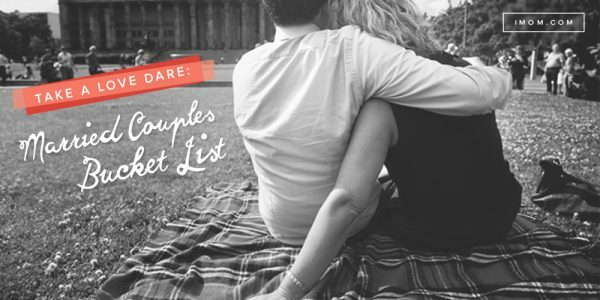 To help keep track of your ideas we created a Husband and Wife Bucket List printable. Feel free to write in your ideas. 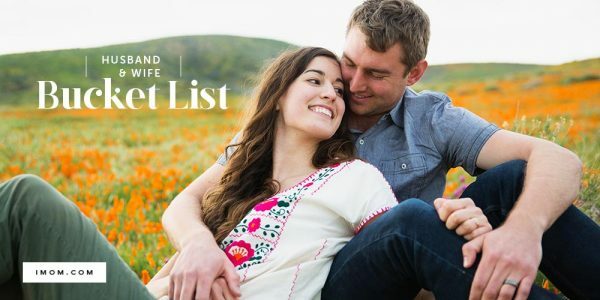 But if you need a little more inspiration, here some ideas for a marriage bucket list to get you started. 1. Go back to the place you shared your first date. 2. Take a day off work, send the kids to school, and enjoy the empty house together. 3. Slow dance to your wedding song. 4. Go for a picnic on a hill. 5. Visit the spot you had your first kiss. 6. Travel to another country. 7. See your favorite band in concert. 8. Learn a new skill—take an art/pottery class or learn to ski or scuba dive. 9. Get in shape together—run a 5k for fun or a good cause. 10. Read a marriage book together. 11. Find a DIY project around the house and learn how to do it. 12. Serve on a mission trip together. 13. Watch the stars and point out the constellations. 14. Do something extreme—like skydive or bungee jump. 15. Go on a hike and then cozy up by the fire that night. 16. Reach out to your neighbors—host a block party or a dinner. 17. Have an all-day movie marathon in bed. 18. Start a journal of letters to each other. 19. Pick local fruit/vegetables and cook together. 20. Kidnap your spouse at a random time and take them on a local adventure. Don’t wait until tomorrow to start chasing dreams with your spouse because we are only promised today. Enjoy all that life has to offer, together. Don’t wait until tomorrow to start chasing dreams with your spouse because we are only promised today. Tell us! What would you and your spouse put on a marriage bucket list? The Best Mother Son Bucket List!